Dairy helps keep our dollars local. The dairy industry provides “working lands” jobs that keep families here in Vermont, supporting our uniquely rural way of life and contributing to local tax bases. A significant portion of dairy-related wages and salaries help support our local economy, as dairy employees buy local goods and services and pay taxes. 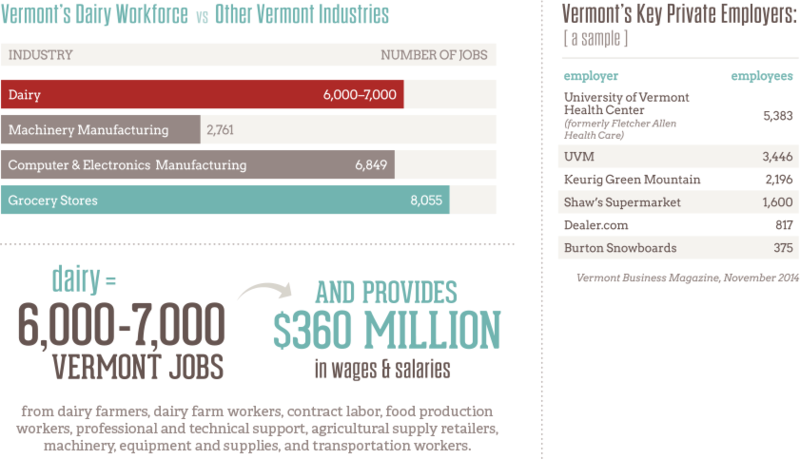 Vermont’s dairy industry employs a diverse workforce with a broad range of skills, providing opportunities for individuals with varied backgrounds and experiences.